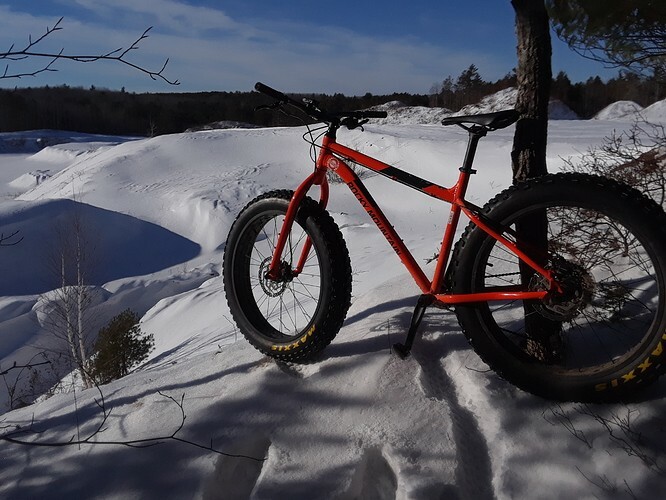 2018 Rocky Mountain Blizzard 20 in Hunter Safety Orange. Stock set up, used for two winters. Yours for $900 with the Maxxis tires or $1000 with both the Maxxis and Studded Vee rubber tires. Can you run those wheels tubeless? The tires are, not sure on the rims. Will check. The rims are good to go! You would need to use 80mm rim strip but it will work! Sold ? Not sure I would fit into a large. I still have it. I need to check if I can get what I want to replace it. I work at Valley Stove and Cycle so I tend to swap out bikes frequently. Put studded tires on that puppy, and it would be a blast. 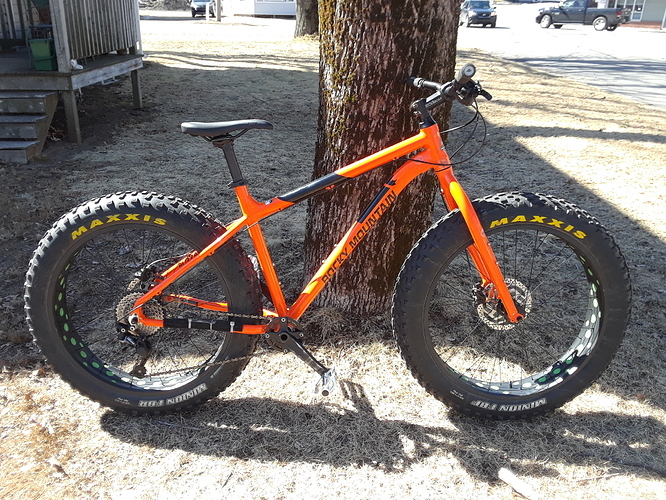 Would you have this bike with you in Mahone Bay this weekend ? I’m planning to go to the Festival and would love to see if it fits. I will have it with me for sure. I’m planning on holding on to it for this season as I can not get the bike I want this season as of now.